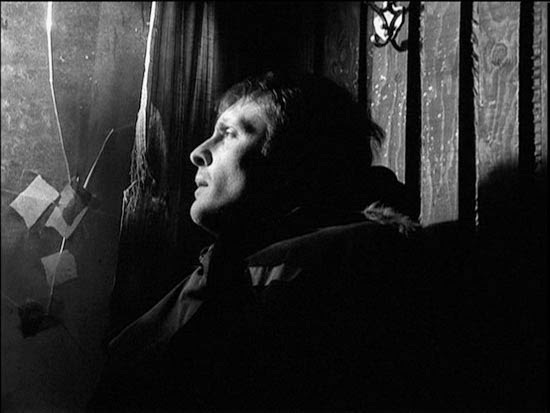 Guy Maddin has always been a filmmaker torn between his nostalgia for old cinema and his forward-thinking filmmaking techniques. His appropriation of antiquated styles in movies like Brand Upon the Brain! [review] and The Saddest Music in the World were clever allusions, throwbacks clearly made using current technology with a progressive and irreverent approach to narrative. Something has always driven the Canadian director to reach back and pull the past into the here and now. In My Winnipeg, his 2007 film, a self-described "docu-fantasia," the past Maddin digs into is his own. As the name might suggest, My Winnipeg is a tribute to the city, his city, his hometown--the Canadian burg that is said to be the geographical center of North America. It is also a tribute to his mother, whom he brings alive via re-enactments of events from his childhood. He considers her influence, and re-examines difficult moments, and, as his narration tells us, even drags her into the experiment, eager to see what she will learn through this trip down memory lane. Except, of course, he doesn't really, because that's not his actual mom on the screen, but instead an actress named Ann Savage--a fact he cheekily withholds even as he informs us that all the versions we see of him and his brothers and sister as kids are just stand-ins. It's all part of the dreamscape he creates from the get-go, establishing a surreal version of history that he inserts himself into, teasing the audience with the strange lore of the place where he grew up. 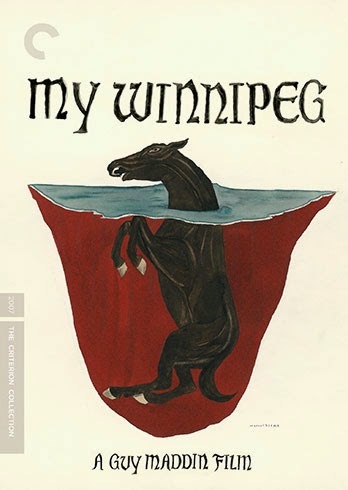 Horses frozen in an ice storm, Russian hockey players, labor strikes, trees growing in the middle of the street--these are all meant to be a part of the myth and legends of Winnipeg. But how much of it is true? Does it matter? Of course not. We are told right there in the title. 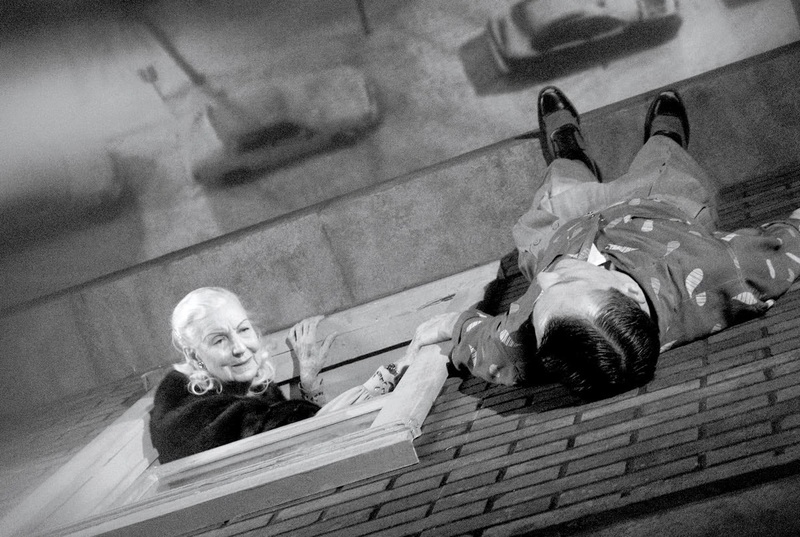 This is Guy Maddin's Winnipeg, his fanciful recreation of the places that informed who he is. 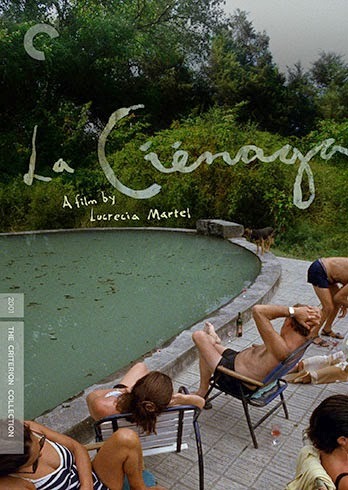 There is never any question that he is an unreliable narrator--the movie is framed by his flight from the city, his attempt to get away, but we know he has no intention of leaving, he loves it all--and it's the lies he chooses to tell that inform our true opinion of the man and his origins. These fictions he creates, these myths he makes, they are a tribute to all the things he says they are, but they are also a tribute to his real love: storytelling. The kind of storytelling that goes on in a small community, the kind of fibs a child imagines to make the world around him seem more interesting, and the kind of daydreams that really do break the Guy Maddins of the world out of their humble beginnings and turns them into internationally renowned motion picture directors. It's fun and intriguing and just generally delightful to watch. My Winnipeg is an autobiography unburdened by reality or truth, and thus far more emotionally honest and revealing than most tracts that try to tell it like it "really is." Casting back in my memory, I think I first heard of Rainer Werner Fassbinder at the same time I first heard of Douglas Sirk, back in the late 1990s or so when Martin Scorsese and others were trying to introduce Sirk back into the conversation. So, even though it would take me longer to actually experience the cinema of Fassbinder (I was drawn in by the stories I heard of Berlin Alexanderplatz [review]) than it would Sirk, whom I sought out immediately, the two would remain inextricably linked. Largely because Fassbinder wanted it to be so. 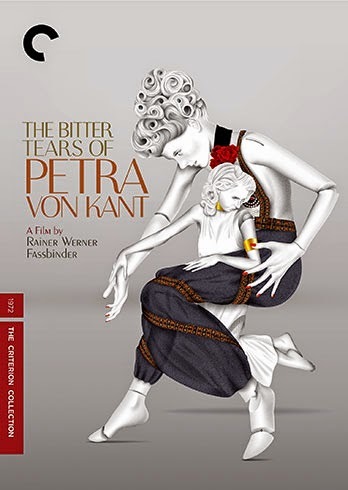 The German director’s 1972 film The Bitter Tears of Petra von Kant is his tribute to Sirk, an attempt to adopt some of the same themes as the master of melodrama, to tell a story of women and their concerns, and to do so with the same colorful backdrops. While I’d suggest that the final result might be more aptly described as “Norma Desmond by way of Ingmar Bergman,” one can still see the sudsy fingerprints of Sirk all over it. Yet, it’s also more than homage: The Bitter Tears of Petra von Kant is very much its own thing. 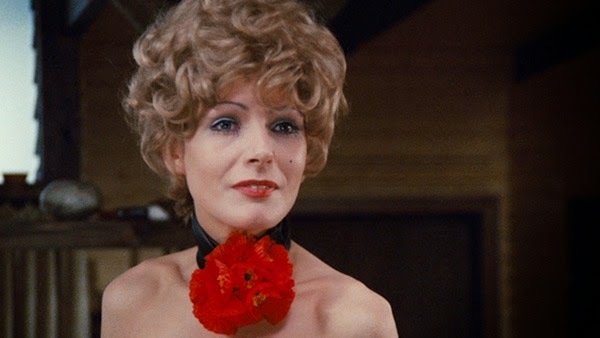 Fassbinder’s film is an adaptation of his own play, and the theatricality of the staging and structure of The Bitter Tears of Petra von Kant would betray that even if the credits did not. (And, again, like the Sirk influence, this is a good thing). The Bitter Tears of Petra von Kant is essentially a story in four acts, plus an epilogue, set in the same space, Petra’s apartment. Petra (Margit Carstensen, later seen in Fassbinder’s World on a Wire) is a middle-aged fashion designer who has sealed herself off in a claustrophobic world of her own creation. She still works, but mostly from bed, and as we watch, honestly, we only see her longsuffering, silent servant, Marlene (Fassbinder-regular Irm Hermann), actually put brush to paper and design anything. Within her decadently decorated four walls, Petra receives many guests, including her cousin Sidonie and eventually Sidonie’s friend, Karin. (They are played, respectively, by Katrin Schaake and Hanna Schygulla, also regulars in Fassbinder films; in the way he builds a stock company of female actors, one might also draw comparisons with Pedro Almodovar.) It’s Karin who throws a spanner in the works. Petra is drawn to her, so in Act Two, she lures the younger woman back to her apartment, and in a case of “who’s playing who?” convinces her to stay with her after hearing Karin’s sob story about how tough her current living situation is. Petra’s interest in Karin is more than charitable, and by Act Three, the fact that they are lovers is quite obvious, even if it’s not explicitly said so out loud. Yet, it’s also already over, the parasitic union having run its course for Karin, who has gotten what she wants. Leading to the final act, wherein Petra is despondent and suicidal on her birthday. Enter her college-aged daughter (Eva Mattes), whom she verbally abuses, and her aristocratic mother (Gisela Fackeldey), who clearly still rules the roost despite Petra’s many successes, and we see the pattern of three generations of broken women and their dysfunctional understandings of love. Petra lays everything bare, possibly making it clear for the first time for some of the more sheltered viewers in the early-’70s audience, and the melodrama reaches a crescendo. Fassbinder divides all of these scenarios clearly, inserting a fade to black between and also marking the various sections with different songs, including hits by the Platters and the Walker Bros. Between those fades, he prefers long takes with invisible edits. There are cuts, there are angle changes, but they are never obvious. Once the drama has sucked you in, you’d be hard-pressed to notice or recall editor Thea Eymesz’s nips and tucks. Likewise, cinematographer Michael Ballhaus, who later went on to work with Scorsese and Coppola (not to mention Prince), uses the camera merely as a framing device. He doesn’t push, he doesn’t highlight--rather, his work is in capturing the drama, as well as color and the costuming. Petra as written and as Margit Carstensen plays her, is forceful enough a presence on her own to command the montage without any added help. Well, except for maybe costume designer Maja Lemcke. The woman’s moods are telegraphed by her outfits and wigs. When she is seducing Karin, she is like an exotic queen out of some mythological history, all baubles and distractions; when she is being jilted, she is more covered, and her hair is a hard-lined bob; on either end of the movie, when she is in despair, she wears a plain nightgown and no wig at all. The space between is so long, we forget her most honest face before we are reminded of it again at the end. Without the warpaint and the wardrobe, she is vulnerable. At her most naked, she is the most alone.